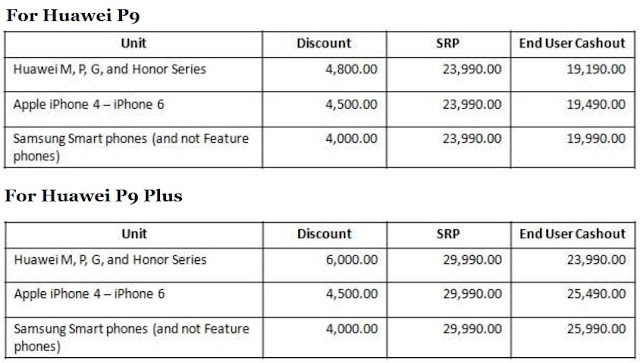 After the huge success of the first trade-in promo for the P9 and P9 Plus held last month, Huawei Mobile Philippines announced that there will be a second leg of the said event, this time it will be for a several days and there are more stores participants. 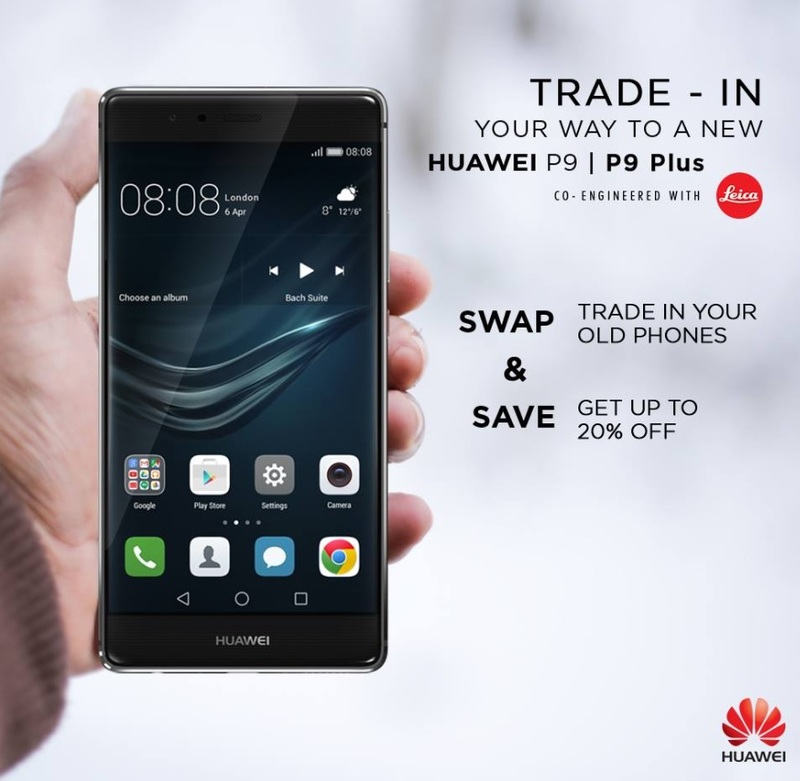 The Huawei P9 and P9 Plus trade-in promotion will start today, July 9, up to July 7 at the Huawei Brand Shops located at SM Mall of Asia, SM Megamall, SM Fairview, SM Cebu, SM Iloilo, SM Bacolod, SM Bacoor, SM Lanang, SM Dasmarinas, Trinoma, Market! Market!, and Robinsons Galleria Cebu. There will also a one-day trade-in promo at Abreeza Davao on July 15. 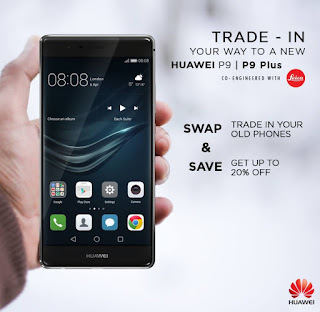 To avail the promo, you need to swap your old smartphone in order to get up to 20% discount. Below is the table of the units accepted and their corresponding discounts. Please take note that only the phones that fall in the above categories will be accepted, and it should be a working one. Pro Tip! If your device's re-sale value is higher than the trade-in amount, better sell it, unless otherwise it is a hassle for you to find a buyer.